85% full! Rent with us now for huge Telus savings! Conveniently located in the newly developed community of Orchards Walk in Kamloops, BC, Broadstreet's 1, 2 and 3-bedroom apartments provide a perfect place to call home. The brand-new Hillside Walk apartments include amenities for everyone in the family, including a dog wash, dog run, in-suite laundry, and more. Orchards Walk is continuing to establish itself as an up and coming neighbourhood with access to all of the essentials. The bluffs of the Thompson River Valley provide hiking trails at your doorstep, while local shops and community services are just a short distance away. Hillside Walk is located right next to an upcoming community amenity building. 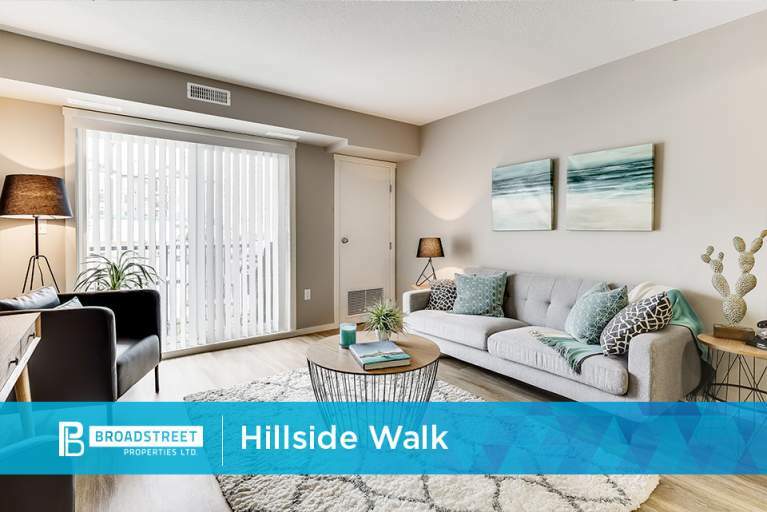 With so many ways to stay active and involved in the community, there's no doubt that you'll enjoy living at Hillside Walk.